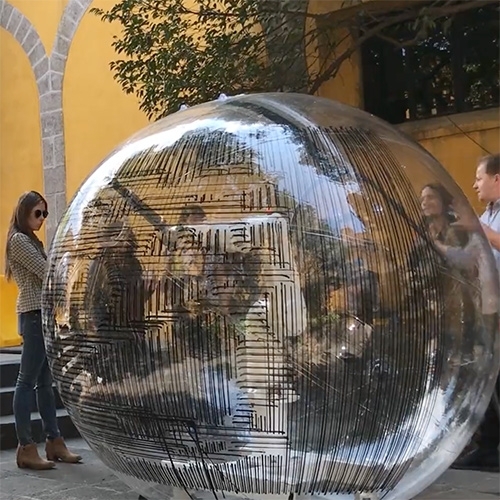 Spheres of Influence by Curime Batliner and Jake Newsum for the Mextropoli Festival in Mexico City. Robot arms in bubbles! It employs a robotic system for layering grids of information, abstracted from the city, on a series of human size spheres.